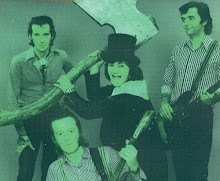 Until 1966, Screaming Lord Sutch was managed by Reg Calvert who was one of the great hustlers of the fifties and sixties music scene, managing a stable of solo singers and succesful groups – The Fortunes, the Rocking Berries amongst them. Reg Calvert was also responsible for the political career of Screaming Lord Sutch by suggesting him to stand for parliament after the Profumo affair in 1963. The following year, the two of them ventured to run commercial radios, offering teenagers programmes different from those usually broadcasted on the BBC - sadly it was a partnership with a tragic ending. 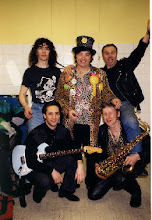 Screaming Lord Sutch was just one of the several acts that Reg Calvert managed since the mid 1950's. 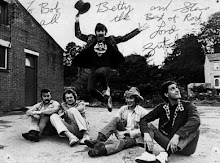 Alongside Larry Parnes and Don Arden, Reg was one of the main figures in the emerging British Rock scene. Contrary to his two main rivals, he paid his protégés a basic wage with all there living accommodation and food as part of the contract. He was one of the first to import Rock & Roll music from the U.S.A. such as Bill Haley and Chuck Berry in Europe. He was also the first in the U.K. to run 'rock and roll' dances for teenagers and open air rock concerts. Reg Calvert started out as a qualified hairdresser then ran a sweet shop in Northam, Southampton, and later a sweet stall on local fairgrounds. In the evenings, to earn extra money, he played the piano in local clubs and also compered for the big bands. 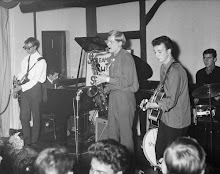 When the arrival of american Rock & Roll music captured the teenager public's imagination in the mid 1950's, he tried to persuade the managers of the dancehalls to play it instead of Big Bands. His idea was first to use the fairground’s Dodgem Bumper Car track as travelling dancehall all over the country. He started to use the expression 'teenager' to promote his dances. Then he searched all over the south and London for good musicians and singers to form into bands and found dancehalls to put his proper 'shows' on - with variety, comedy and competitions. 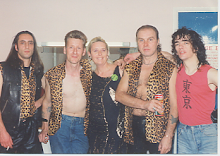 Star drummer Rory Blackwell, Marty Wilde and Cliff Richard came onto the scene. In the late 1950's, he ran various dance halls round the Midlands where he booked a few theme and copycat acts, on of the first to do look alike bands. 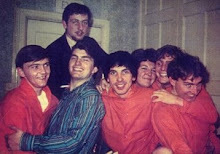 The Nevitt Brothers or the Dowlands which were Everly Brothers sounding duos. Buddy Britain & the Regents, were a Buddy Holly tribute acts. Danny Storm was a Cliff Richard look-alike plastered etc. Most of Reg Calvert's bands lived at one of his houses in Clifton Hall, near Rugby, where they practised by day. His other old Southampton town house in Portland Terrace was housing a small printing firm in the basement by the name of ‘Hartex’and producing advertising leaflets, flyers and posters. 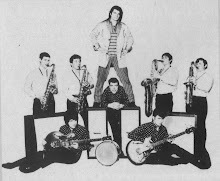 In the early Sixties more and more bands wanted Reg Calvert to manage them including Screaming Lord Sutch & the Savages, so he started an agency in London with Terry King, called “Kings Agency”. 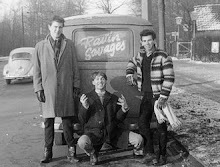 From the 9th to the 12th of May 1962, Screaming Lord Sutch & the Savages did a 3 day Tour for Reg Calvert. 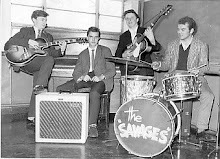 Ritchie Blackmore made his debut with the Savages during this tour. He and drummer Carlo Little were paid each other £16. And that was the first Screaming Lord Sutch’s political campaign, the first of his long political career that carried on with the Monster Raving Party. 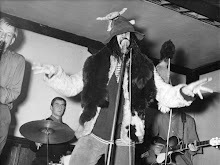 Then Screaming Lord Sutch decided to launch himself into the pirate radio field circa 1964. 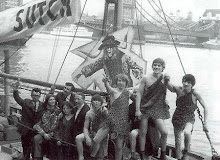 Radio Sutch launched at the end of May 1964 from Shivering Sands anti-aircraft fort in the Thames but originally it was Reg Calvert’s own idea. In fact, Screaming Lord Sutch had been using this boat during 2 weeks, to anchor off Shoeburyness in the Thames estuary he broadcast as Radio Sutch, until he discovered the Shivering Sands army fort. In September 1964, Reg Calvert bought out Screaming Lord Sutch and changed the name of the station to Radio City. A new more powerful transmitter was installed and over the months that followed the station gradually grew in power, in proficiency and in revenue. In June 1965, Reg Calvert suggested Screaming Lord Sutch once again to stand at Huyton, in prime minister Harold Wilson’s constituency. By 1966, Radio City began to re-broadcast Caroline's news and plug some of the bigger station's programmes. 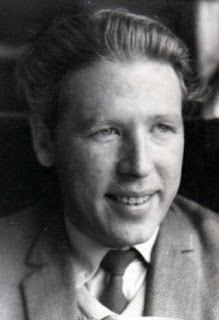 A certain Major Oliver Smedley, a chartered accountant, who ran a station called Radio Atlanta, persuaded Reg Calvert that he would provide a much more powerful transmitter and they could go into partnership together. The transmitter was delivered to the fort, intended to be used by Caroline when it jumped ship. But the merger plans collapsed. Reg Calvert and Caroline's great rival, Radio London decided to launch a new sweet music station from the fort - To be called UKGM (United Kingdom Good Music). Smedley claimed ownership of the transmitter and, on the night of 19th/20th June 1966 sent a group of burly dock workers to take possession of Shivering Sands. They surprised the sleeping occupants and locked the disc-jockeys and engineers out of their studio. Smedley wanted his transmitter back or he wanted a piece of the UKGM deal. So that evening Reg Calvert took with him money to pay off the boarders but unfortunately was shot dead when visiting Smedley's home. This tragic loss signalled the beginning of the end for British offshore radio as the killing spurred the Government into legislative action. BBC Radio One started to broadcast the following year using the disc-jockeys from the former pirate radios and playing pop music for the younger audience. Nevertheless, Reg Calvert was well ahead of his time and the concepts he pioneered changed the style and direction not only of the British music scene and entertainment but also British politics forever. Celebrity singers and performers were booked into the shows including the Billy Fury, The Rolling Stones and the Beatles. please correct the year of birth to 1928. RC was not married at the age of 8 years. At the British Pathe website is a newsreel showing Danny Storm at Clifton Hall. Could anyone put names to faces - scene by scene? remember seing this incident on the night on tv-i could not receive this station in birmingham-power to low-but received caroline-radio london-radio scotland-swinging radio england-radio luxemburg-caroline north and south-radio----grundig-'party boy'-lw/mw/vhf----my age then 19 in july 1966-a great period in pop radio stations on the medium wave band. 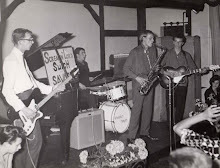 I Reg Calvert, I was about 18 then and at that time 1960ish was organist/pianist with a group called the Deltas and we played a lot of the Calvert promotions and another promoter called Terry Blood. 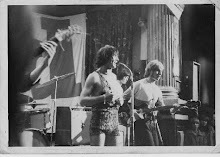 Reg had some great bands all staying at Clifton Hall... I remember Robin Hood and his Merry Men with a lady singer called Maid Marian who was married to the lead guitarist. Anyway one night neither Robin Hood or Maid Marian made the gig as they had run off together. Reg had to put a new group together I still have the telegram somewhere asking me to join it. Anyway this group would include the ex members of the Merry Men and be renamed The Fortunes. Reg Calvert and his lovely wife were amongst the first to really make the British Rock scene and to me were lovely people. They had a pet monkey at Clifton Hall.... I have lots of happy memories RIP both of you.